Did you know the March 8th - 14th his Gazillion National Bubble Week?! National Bubble Week originated in 2000 as a way to celebrate spring! Since bubbles are such a fun outside toy it only seemed natural to use them as the way to welcome a season of outdoor play! Gazillion Bubbles have some of the coolest bubble toys on the market! Their products include (but are absolutely not limited to) the Gazillion Bubble Monsoon, Gazillion Bubbles Tornado, and Gazillion Bubbles Bump-N-Go Bubble Car! Spring is only one week away regardless of the snowy weather in New Jersey we recently had. I was lucky enough to be experiencing a sixty degree day today when we received our Gazillion Bubble Monsoon! It was the perfect day to go outside and play! Since my backyard is still full of snow we took the front to play a bit! My daughter absolutely loved the Bubble Monsoon! It filled the sky with bubbles instantly after turning it on! All that you have to do is replace the cap on the bubble solution with the included auto-feed cap, attach the bottle to the machine, and press the button to turn on! I know that this bubble machine is going to provide us with tons of fun throughout the spring and the summer! Start bubble season right by popping into a store today and stocking up! 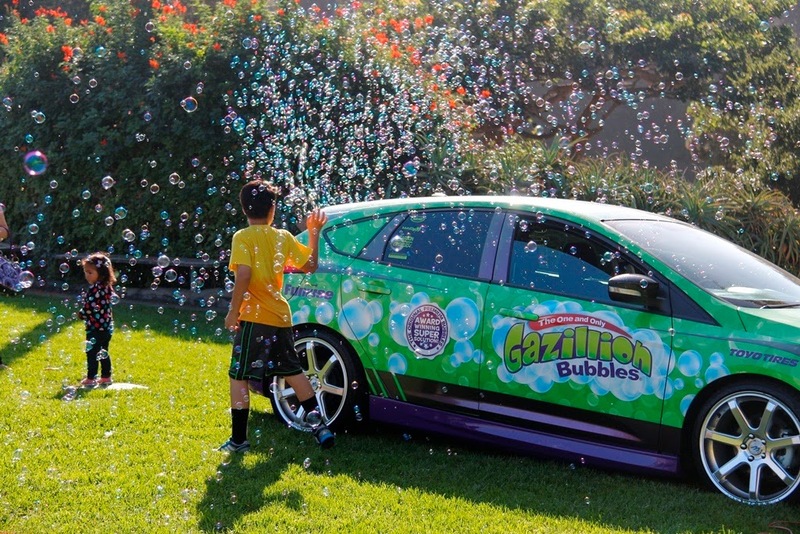 Be on the lookout for Gazillion Bubble products in places such as Walmart, Toys R Us, and Target! Don't forget to share your bubble memories and enter the annual photo contest with prizes monthly from March 1, 2015 to August 30, 2015 on the Funrise Toys Facebook page!